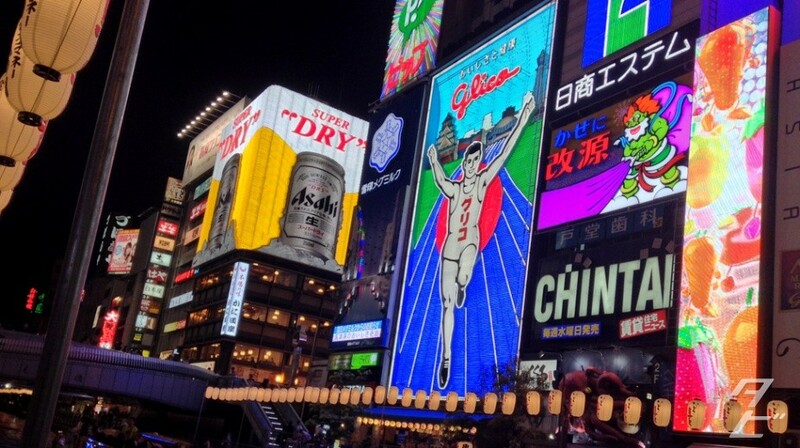 He’s an icon of Osaka, with thousands of people taking photos with him every day, but this long serving iteration powered down for the final time last Sunday. 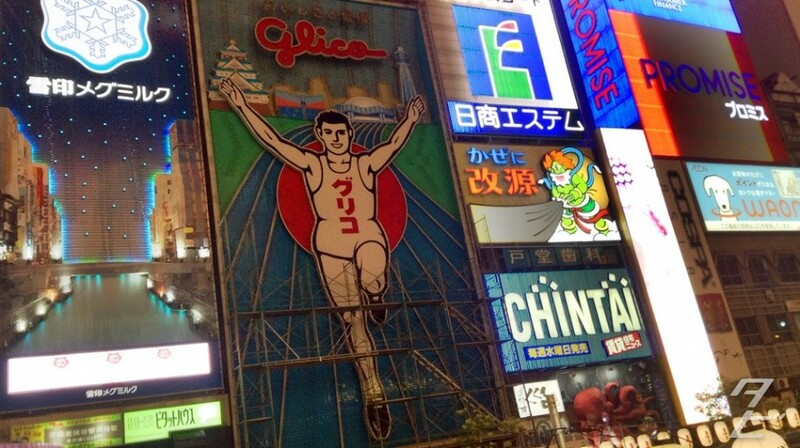 The Glico Running Man, a mascot for the Osaka-based sweet company has been a feature on Dotonbori street since 1935. The recently retired sign was the fifth generation, installed 16 years ago. 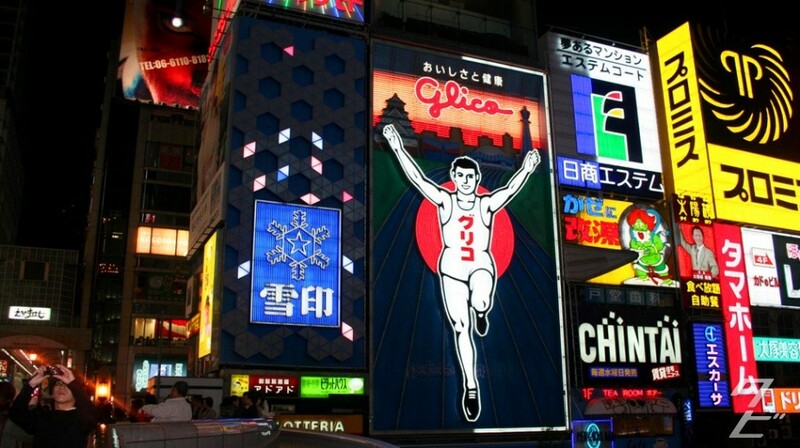 It features the classic running man figure plus famous local landmarks: Osaka castle, Osaka aquarium, Kyocera Dome(home of the Orix Buffaloes) and Tsutenkaku tower. This is the first picture I took of him way back in 2008, he hasn’t aged a day! I dropped by after work yesterday evening, he’s still visible for now, but work has begun and the sign stands surrounded by scaffolding and uncharacteristically dark compared to usual. Not much is known about the new design, it’ll continue to feature the man himself and will use LED’s for the first time, which allow for much more energy efficient and elaborate lighting! Still though, it’ll be strange to see it change as it’s such a familiar sight for me. There’s no set date for the new sign to be unveiled, just “sometime in Autumn”. I’ll update when the new one makes an appearance!